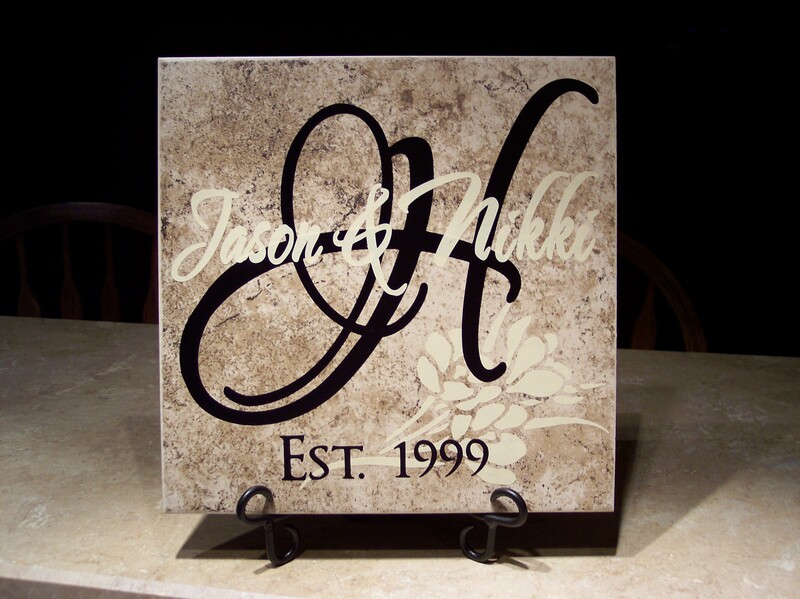 Family Name Tile – 2-color. We’ve named it “Basil No. 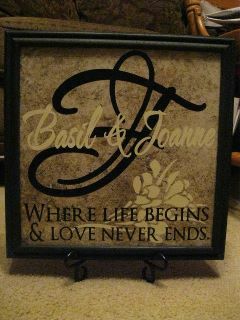 2.” This is perfect for weddings, anniversaries, birthdays or “just because” you want to send a gift! 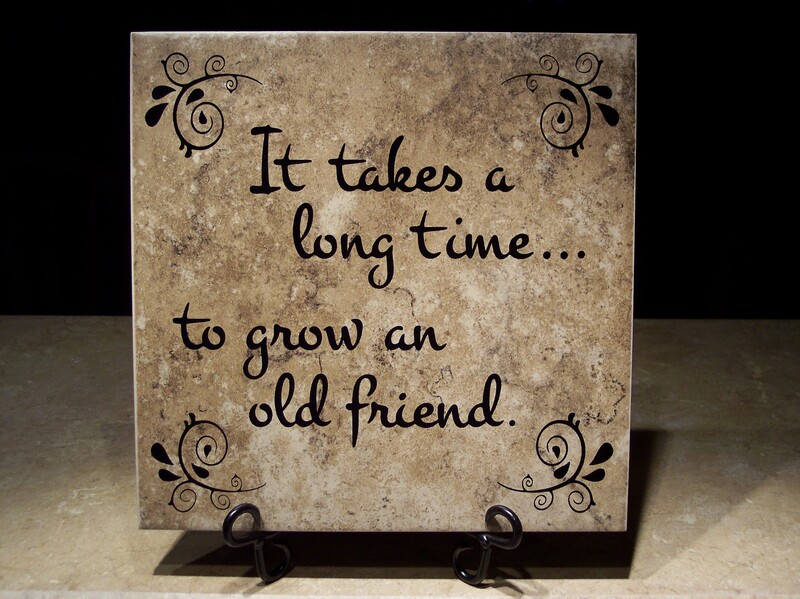 12″ personalized tile with 2 colors – $28. These tiles look FABULOUS in our black frames ($16). 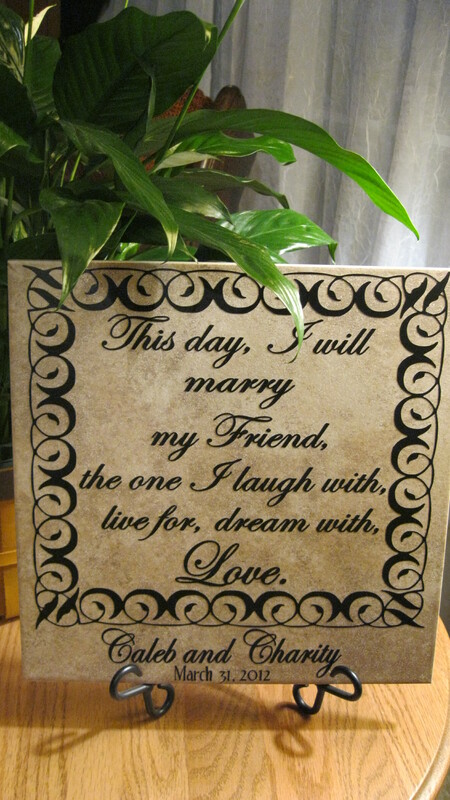 NOTE: We can also make this saying on a 6″ tile, but we cannot use the curly designs in each corner because they get too small to work with. Instead we have added a frame border to the 6″ tiles. We also have a different curly metal stand available for 6″ tiles – $6; or a wood stand for 6″ tiles – $4. NOTE: PLEASE BE SURE TO STATE VERSION #2 WHEN ORDERING THIS DESIGN OR YOU MAY GET VERSION #1 INSTEAD! DEER CAMP – It’s all fun and games . . . until the BEER runs out. 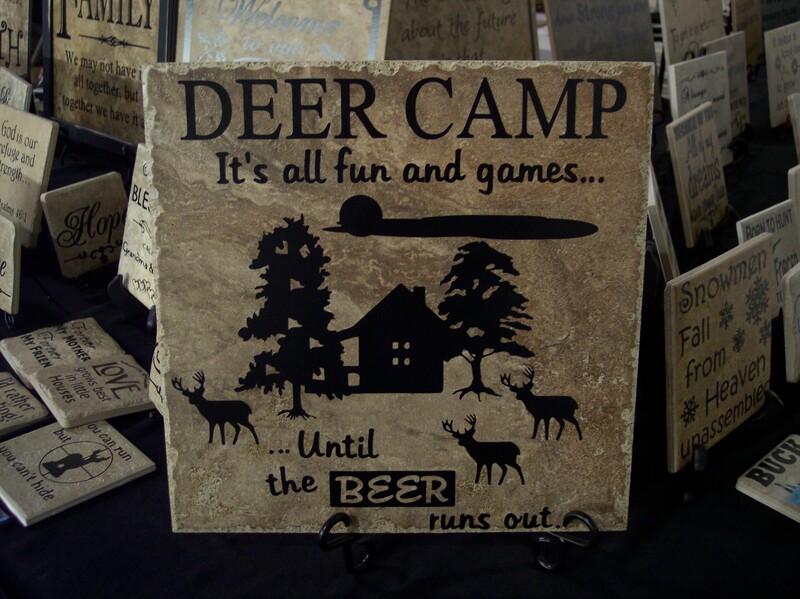 This is one of the tiles we created when we set up a booth at the 2012 Missouri Deer Classic. ALSO available in a 6″ tile = $13. This particular frame is no longer available, but we have other black frames for $16. NOTE: If you don’t like the saying at the bottom, we could remove it and add “Est. 2012” or “Established 2012” or your wedding date.